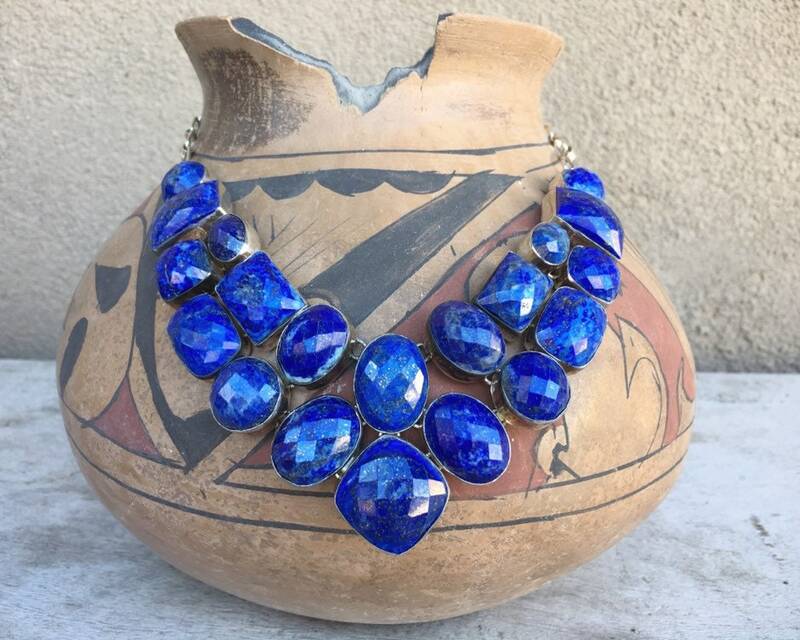 This 1980s statement piece features large cabochons of faceted lapis lazuli set in an articulating bib collar necklace. The silver tone setting is not sterling; it is closer to 700 or 800 silver. Although it is unmarked, we were told the piece was from Thailand. 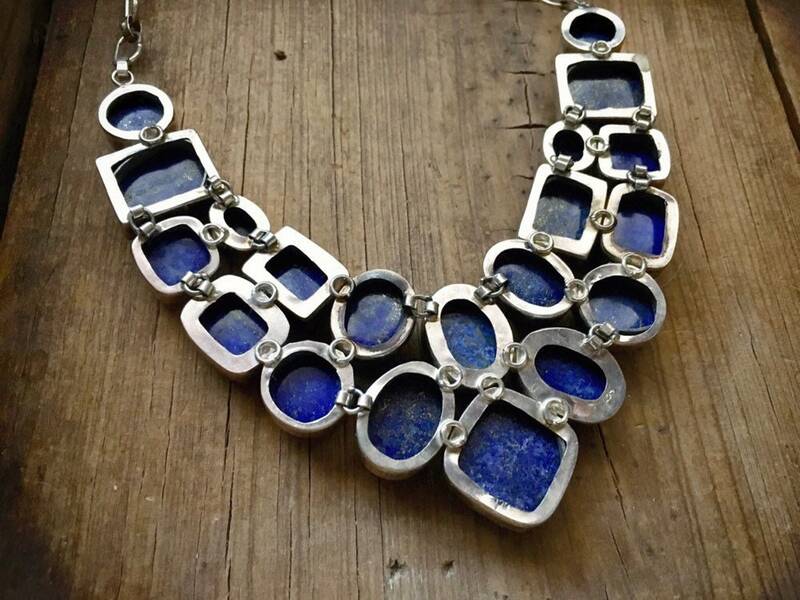 We also had a matching bracelet, which we had reset in a sterling silver setting, as the lapis itself is so plentiful, large, and weighty that it is quite valuable. 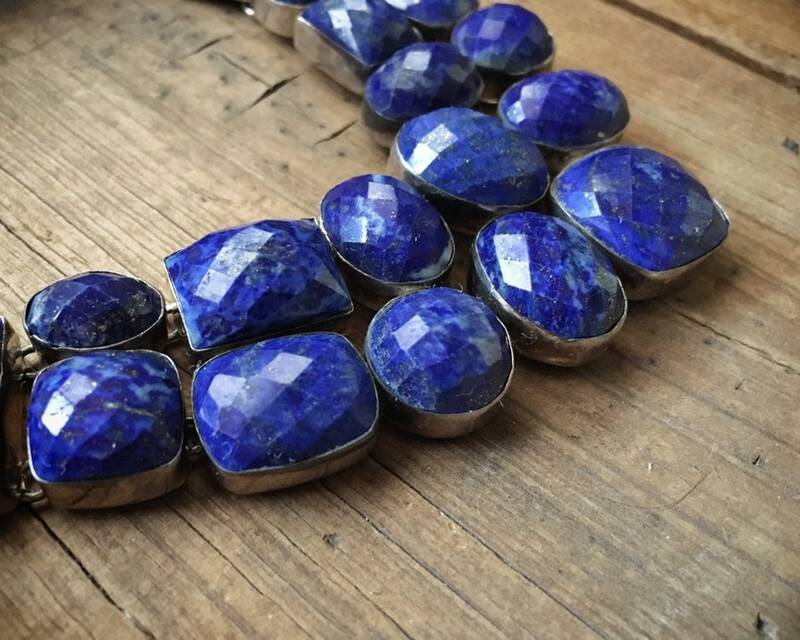 The facet cut shows off the gold flecks, and each one of these cabochons is worthy of its own pendant. So 20 cabochons together are quite the find! 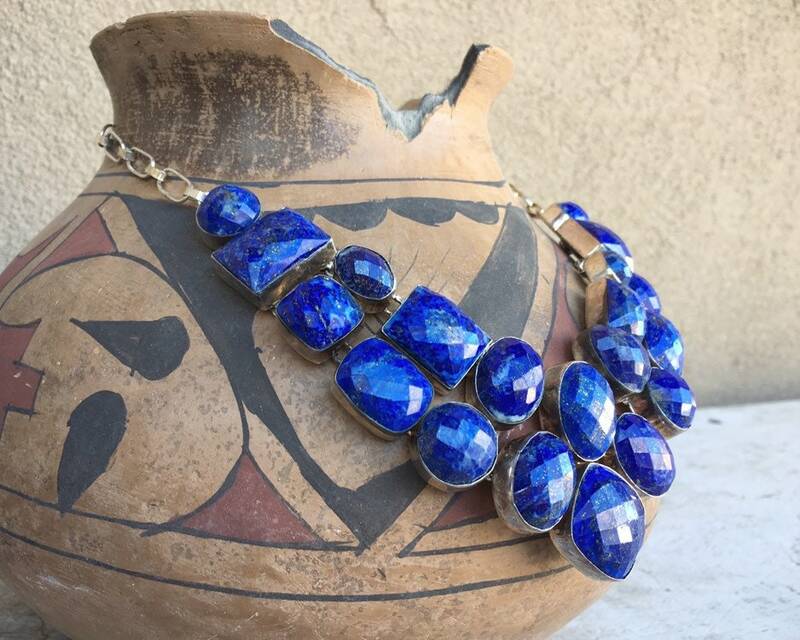 Some of the lapis is solid and deep blue, and a few have specks of white-ish color in them. 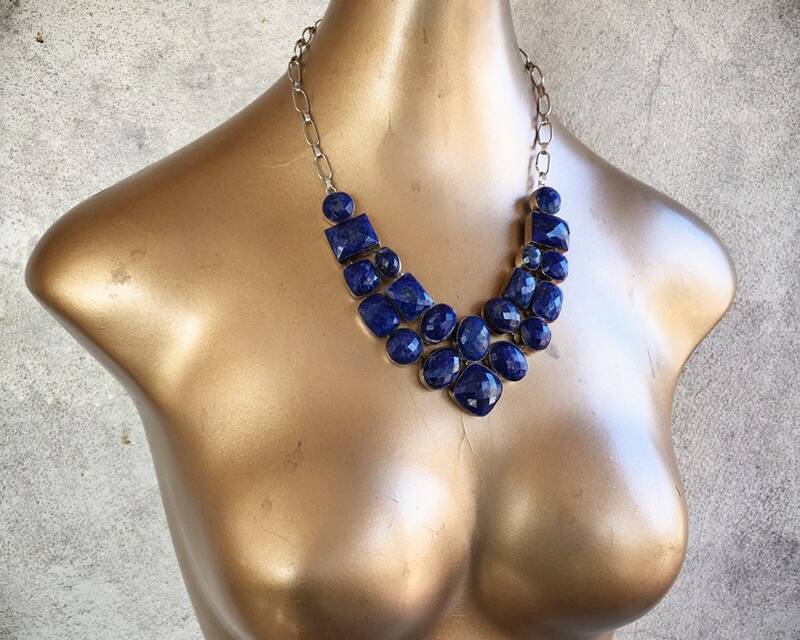 The necklace is meant to be worn medium-high on the chest, as any bib collar necklace would lay. 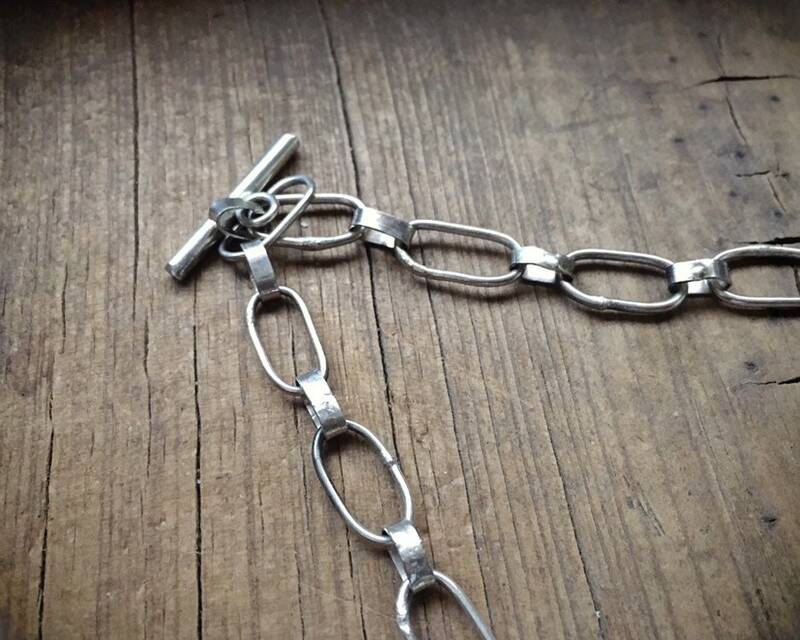 The long T-clasp fits very tightly into the oval link, and it does not come out easily, by design. 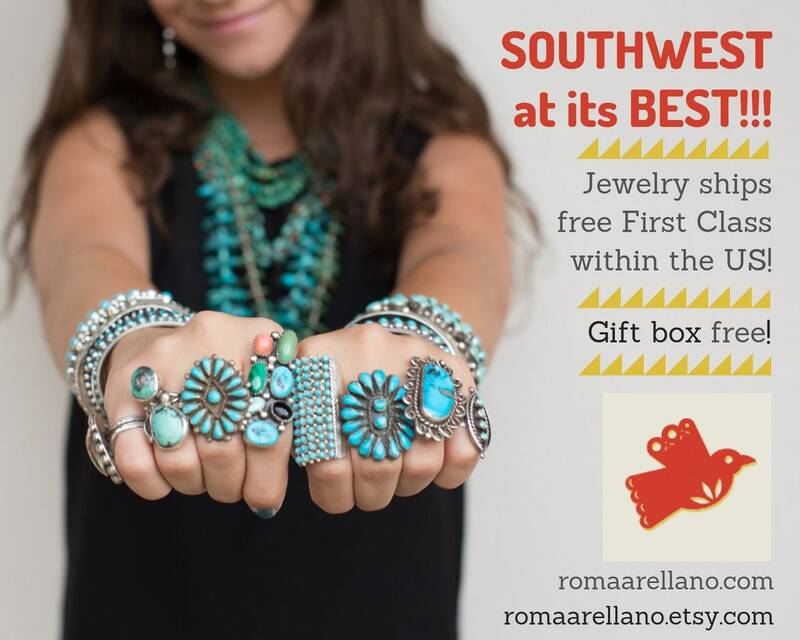 The necklace is adjustable insofar as you can put that T-shaped fitting into any one of the oval links. The necklace measures about 18-1/2" when you set it flat and measure tip to tip. 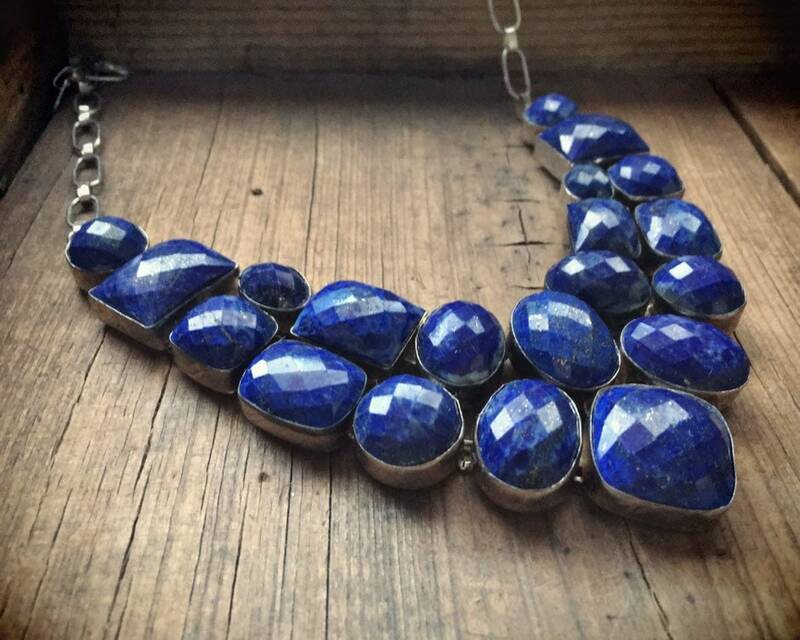 The section of lapis is about 5-1/2" of that length and drops to 4" down. 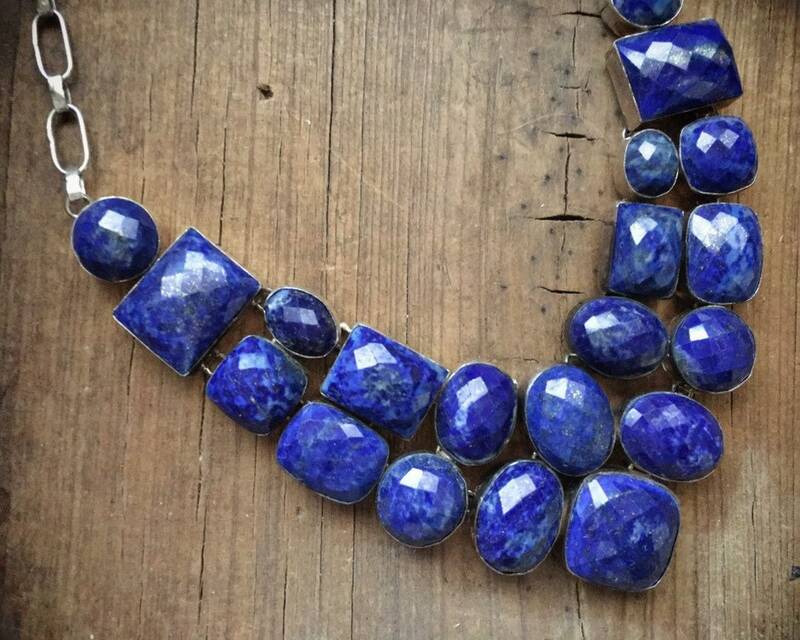 The largest cabochon of lapis is about 7/8" long and wide, and the smallest just about 3/8" in diameter. Total weight is 107gm.